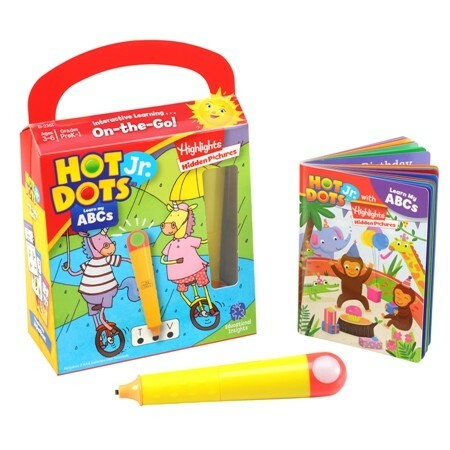 Perfect for home or on-the-go learning, this portable Hot Dots Jr. set includes an interactive light-up pencil and 24-page book to learn ABCs. 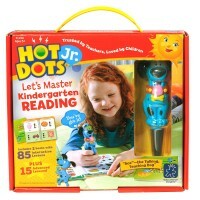 Play your way to alphabet mastery with this new Hot Dots set of interactive puzzles for preschoolers. 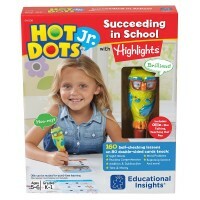 Press the enclosed Hot Dots Jr. Light-up Interactive Pencil to each page for an immediate light-up response. 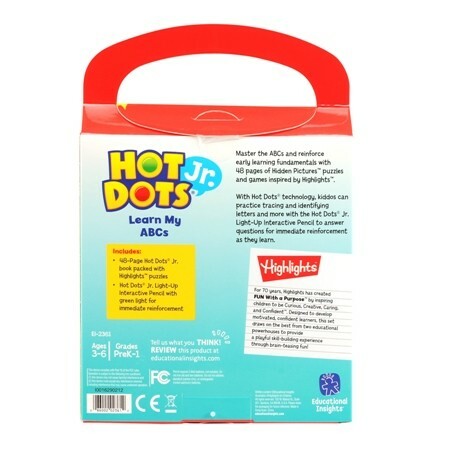 Learn My ABCs Hot Dots Jr. with Highlights On the Go Set features a spiral bound book with 24 double-sided tracking and puzzle cards. 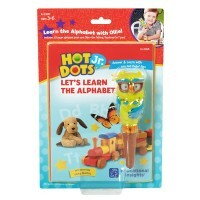 Great for alphabet learning on the go this Educational Toys Planet's early reading toy is lightweight. The electronic pencil requires 2 AAA batteries (not included). 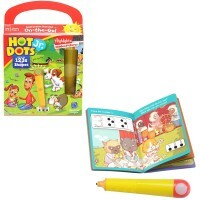 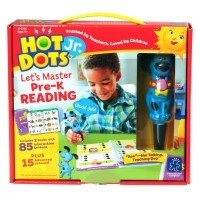 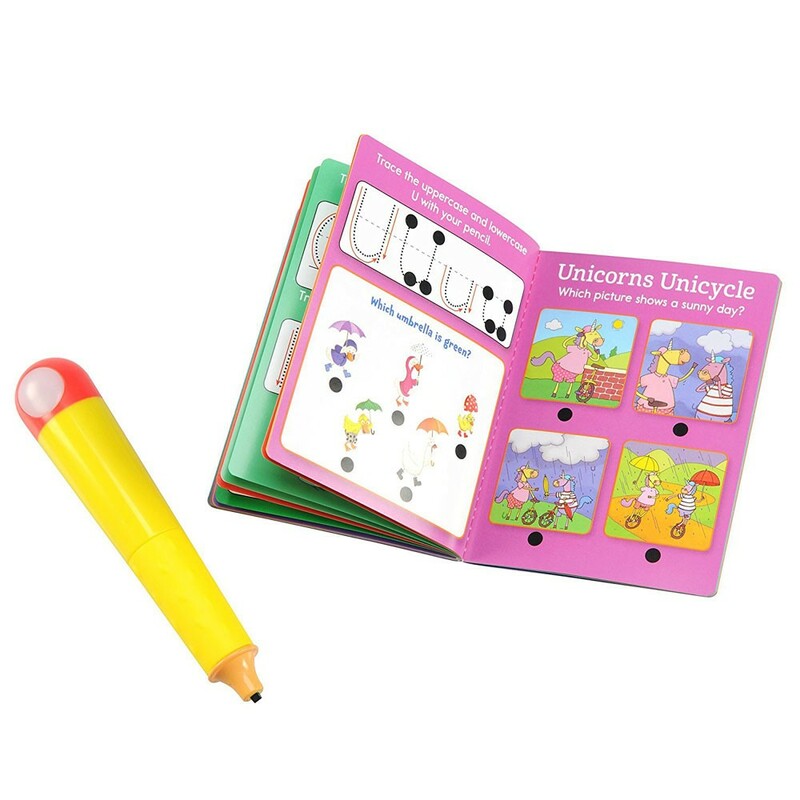 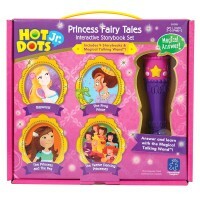 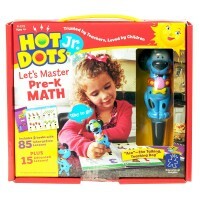 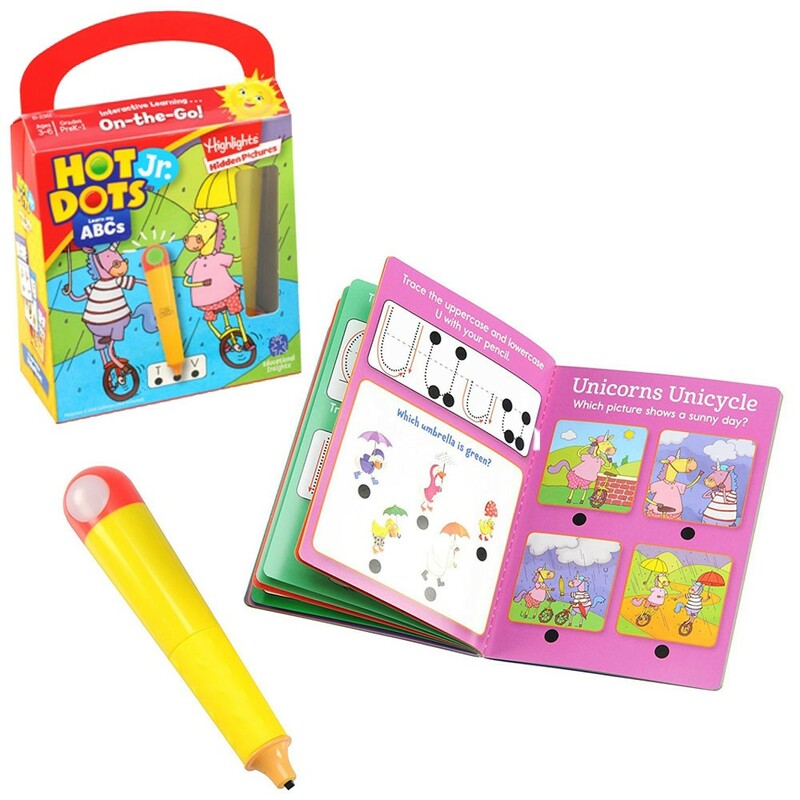 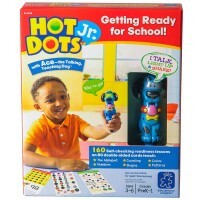 Dimensions of package 6.2" x 9.2" x 3"
Write your own review of Learn My ABCs Hot Dots Jr. with Highlights On the Go Set.